Apparently, in an attempt to ward off the Skynet-led techno-apocalypse, people in the American Southwest are attacking self-driving cars. While this sounds insane, in light of recent incidents where autonomous vehicles have led to the injury and even death of citizens, it makes sense in a sort of morbid way. This type of consumer anxiety is not what a budding industry should want, especially if it wants to grow. Recently, carmakers have made efforts to address consumer fears about self-driving cars. According to a December 2018 report by the Arizona Republic, there have been at least 21 attacks since 2017 that range in severity from the mischievous to serious and dangerous. One such incident, in August 2018, involved a man armed with a handgun trying to scare the safety driver of an autonomous Chrysler Pacifica. Apparently, the man, who was ultimately charged with aggravated assault and disorderly conduct, cited the Uber incident that killed a pedestrian earlier that year. Another safety driver was threatened with a PVC pipe while another type of vehicle was almost run off the road at least six times while testing. In other situations, drivers were threatened by people blocking routes, throwing rocks and slashing the tires of the vehicles. Following incidents where driverless cars have been involved in fatal crashes, there’s understandable cynicism when the subject of autonomous vehicles is brought up. According to a 2018 midyear study by AAA measuring consumer sentiment about self-driving vehicles, distrust of self-driving cars has risen. In a New York Daily News article, AAA noted that "63 percent of survey respondents reported that they would be too afraid to ride in an autonomous vehicle at the end of 2017, while 73 percent said the same thing just six months later." "Additionally, 63 percent of people surveyed in 2018 reported that they would not feel safe as a cyclist or pedestrian with self-driving cars on the road. Furthermore, millennials demonstrated a big shift away from acceptance of self-driving systems. At the end of 2017, 64 percent of people in this demographic were enthusiastic about autonomous technologies. Six months later, just 49 percent were." Consumer anxiety notwithstanding, many industry experts agree that the real-world realization of the technology is approaching fast, whether we’re ready for it or not. 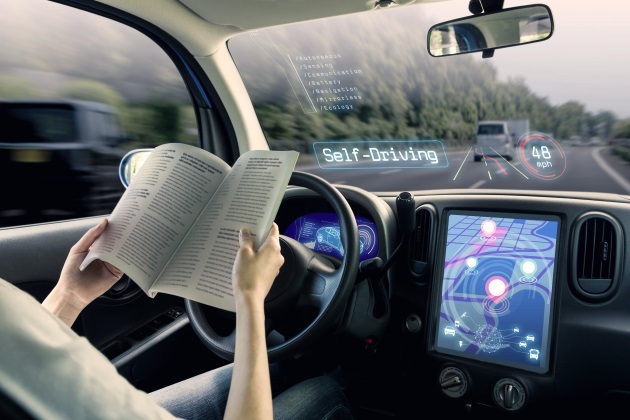 According to a report by Ohio lawmakers released in December 2018, the creation of infrastructure that allows for autonomous vehicles must begin now. The report noted the timetables for vehicles requiring minimal human operation, only under certain circumstances, will be available through to 2025. Highly automated driving systems that need no physical operation by a driver are forecasted to be deployed between 2035 and 2050. It is therefore important that the automotive industry addresses consumer fears proactively before they grow from anxiety and minor acts of vandalism to something much worse: complete customer abandonment. The best way to deal with such an outcome is more expansive and complete testing, an idea that the auto industry has seemingly embraced. General Motors has begun testing in California with food delivery services like DoorDash through its Cruise self-driving platform. According to an article by The Verge, "Under the pilot, Cruise’s self-driving Chevy Bolt vehicles will be used to make grocery and restaurant deliveries for DoorDash customers in San Francisco, California." "A spokesperson for Cruise would not say how many vehicles will be involved in the pilot, nor would he define the service area involved. Currently, Cruise has 180 vehicles registered with the California Department of Motor Vehicles and over 400 safety drivers. Those vehicles operate in the city’s busiest neighborhoods, according to Cruise." It should be noted that GM’s testing and progressive attitude is in response to “enormous pressure” the company has been feeling to show results in its self-driving vehicle industry investments. "In addition to testing in San Francisco, the automaker is working on two purpose-built autonomous vehicles: one based on its Chevy Bolt electric models without a steering wheel or pedal, and another it’s making in collaboration with Honda. Last October, Honda announced that it will devote $2 billion to the effort over 12 years, which, together with a $750 million equity investment in Cruise, brings the Japanese automaker’s total commitment to $2.75 billion." There are also airports being used for autonomous vehicle testing. Mark Policinski, the CEO of the OKI Regional Council of Governments noted how Cincinnati/Northern Kentucky International Airport, while experiencing an expansion in travelers and cargo freight, could use autonomous vehicles to help as a practical solution to the problems that come with such growth. "With the expansion of DHL and Amazon Prime going to CVG, that's going to be a lot of jobs, so a lot of people have to get to work, from work," said Policinski, "and by the way they're going to have to get around because there are just so many investments taking place. … Autonomous vehicles are going to be part of it. We don't know exactly how much, but it's certainly one aspect you have to look at. You can't ignore this technology." Testing isn’t the only way carmakers have chosen to address public fear of self-driving cars. According to Dean Bushey, the general manager of Voyage, 5G technology will help make autonomous vehicles safer. "Right now, anything over a hundred milliseconds of latency is going to cause our car to disrupt. So anytime we can get lower latency, higher bandwidth ... that's where 5G comes in. … 5G promises one-millisecond latency." Automakers are also making sure self-driving cars are aware of and can handle driving in bad weather, which can be a dangerous hindrance in of itself. According to Diane Lansinger: "While I believe AVs have the potential to save lives and improve our quality of life, I also know self-driving cars in their nascent stage today can’t yet operate safely in what many in the industry currently think of as 'out of scope' edge cases: bugs, mud, freezing rain, snow and similarly complex environmental conditions (and don’t even get me started on tree sap or bird droppings)." While automakers are rushing to ensure self-driving vehicles are still palatable to customers, making sure they are safe is just a matter of taking time to communicate changes and the positive results of testing to the consumer public. In the end, if this industry is to continue chugging toward inevitability, ensuring customer confidence in self-driving cars is paramount.